A recent blog post on www.overclock.net sparked my interest in a particularly strange decision from Razer. Razer are a hardware manufacturer that produce gaming peripherals, like Mice and Keyboards. To use your new Razer device as the amazing multi button, Macro driven gaming peripheral that it was designed as, you have to have an account and a profile with them. Without this account your mouse reverts back to a 2 button standard Microsoft mouse. 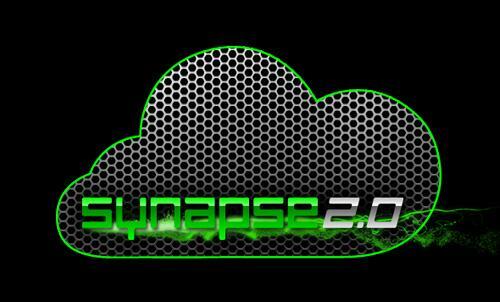 To facilitate this account Razer have released a new version of their peripheral profiling software, Synapse 2.0. Synapse 2.0 requires allows you to create an account to store your profile information against, things like settings and device profiles. Users have noticed that this software creates your account in a Cloud space. This has the knock on effect of a user having to be online when they create the account, and being online every time they want to use the device. Essentially if you aren't online then your account cannot be verified and your settings are not used. Now if I were writing requirements for mouse management software, being cloud based would not be one of them. There is one tenuous reason for a cloud based profile (same mouse used on multiple machines) but other than that the only technical reason I can see for doing this is tracking. Razer just want to know what you are doing. It's all about usage stats and product tracking. By doing this they now have a profile of exactly which of their devices are in the market, and the numbers of those devices. Couple this with average life of a device and you start to get pretty good sales forecasting, if you can work out how many people will re-purchase one of your products if the existing one fails. But I can't shake the feeling that this is a really poor use of a Cloud based solution. The user gains nothing from it at all, and is restricted at a fairly fundamental level if they don't agree with it. Personally a software firewall will block this every time for me, and I can't think a decent reason to let it through. Yesterday (Sept 25th) news site across the web were buzzing with the news that an entrapeneuring type had managed to find an exploit in the Samsung Touchwiz software. It basically allowed foreign code to be run on the phone, without the users authorisation or prompting, that formatted the handset. By today (Sept 26th) the same news sites are reporting that Samsung have fixed the loophole and are urging users to download the fix for it. So if you are running a Samsung handset then go check for system updates. That sort of timescale for bug fixes is admirable, whoever you are. After my recent move to HostMediaUK I've been able to see more in depth statistics about one of my sites, including traffic and data usage. This also includes having visibility of other domains that are linking directly to my content. This is popularly known as hot linking, and if you haven't asked permission is considered very impolite. This also uses up your servers bandwidth rather than theirs. This article explores how I use a URL access file, either .htaccess of http.ini depending on your platform, to stop other domains from linking directly to your hosted resources. I've always believed that using the hash() function in ColdFusion is a one way process. If I wanted to reverse a string I had to use encode() and decode(). The Adobe documentation states that "It is not possible to convert the hash result back to the source string" - Adobe Docs for Hash(). Strictly speaking this is still true, but some bright spark has decided to host an MD5 string database and provide a lookup service.